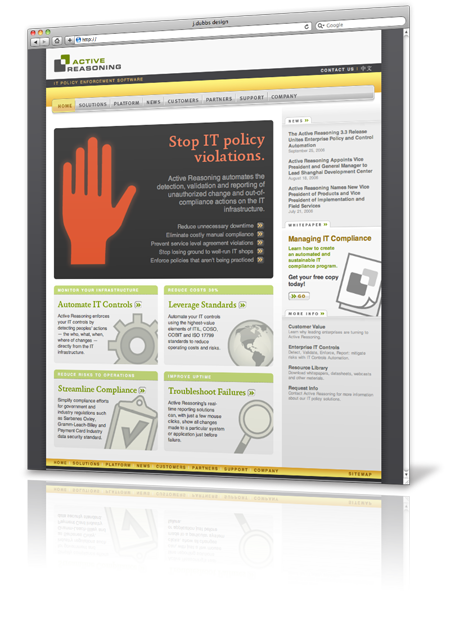 Acquired by Oracle, the dominant provider of IT controls automation software for IT policy enforcement. 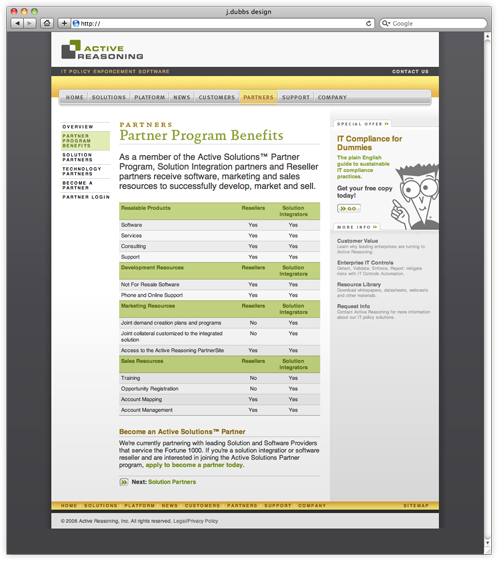 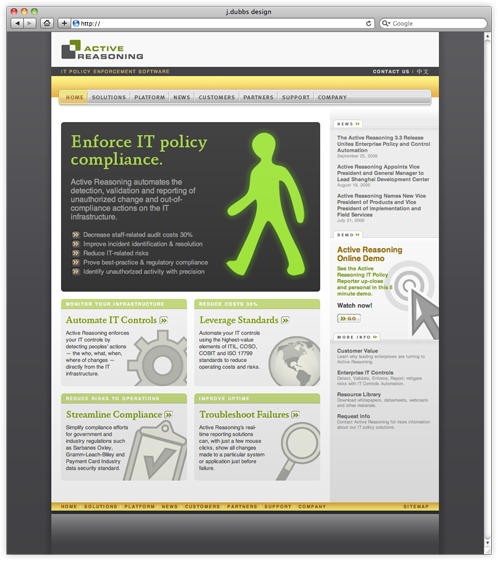 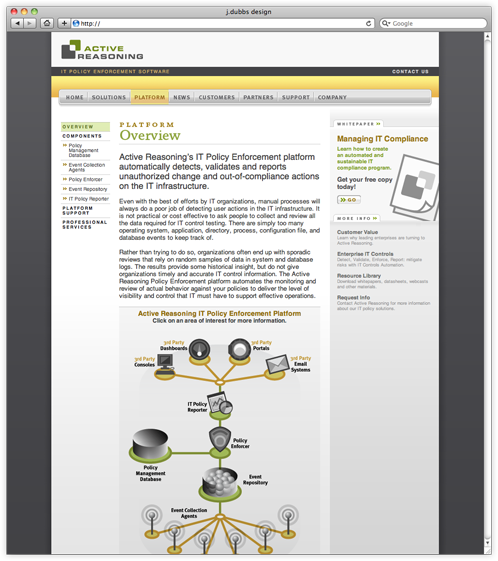 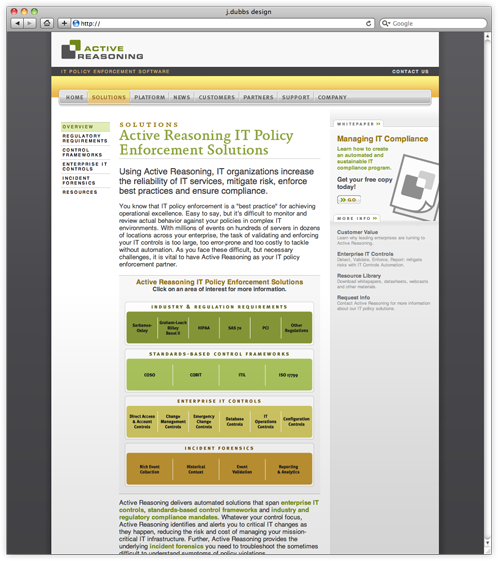 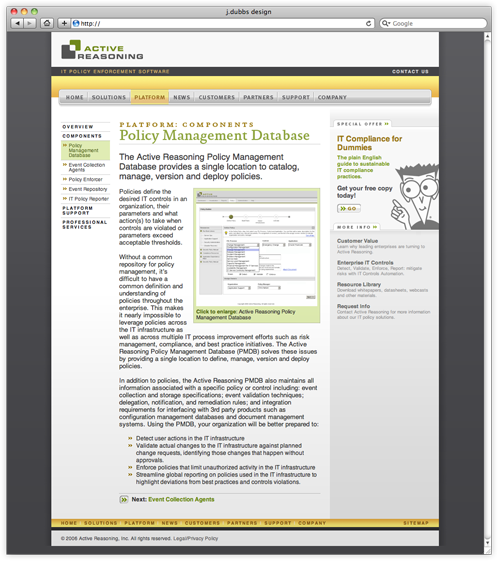 The home page of Active Reasoning's website presented a special challenge in that it needed to simultaneously deliver two opposing yet complementary messages, framing the company's software as both a carrot (encouraging policy compliance) and stick (stopping policy violations) for its IT customers. 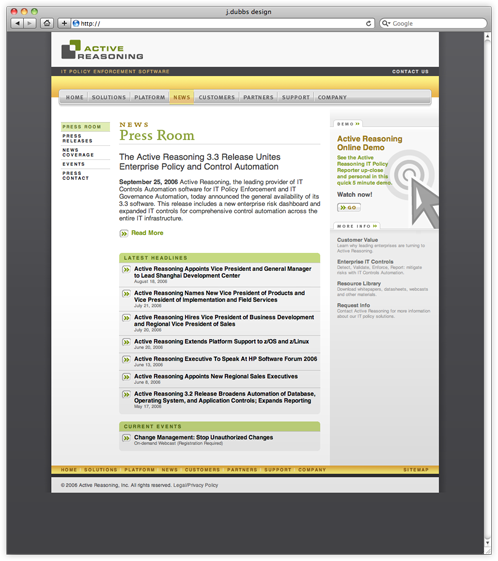 An animated crosswalk sign was created to toggle between the two dominant messages and their supporting data points. 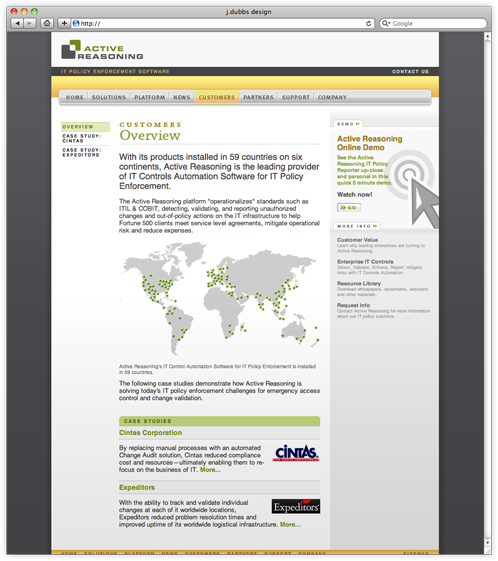 Additional deliverables include icon and diagram design to support the website.